No psychological tools including big five personality tests are free from errors. However, with the passage of time, they are improving and adjusting to the requirements of the companies, managers, and the test takers. 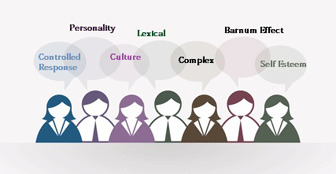 The big 5 personality tests are used to screen candidates for team building beside job analysis, training programs, coaching counseling and leadership nurturing. Many a psychologists including Digman, Ostendorf, MaCrace, Goldberg and John Oliver support this tool. But some others like Hogan and Hans Eysenck criticize big five personality tests on one ground or the other. They go for these dark lines. The big tests are designed to measure your level vis-à-vis five big personality traits, i.e., extroversion, neuroticism, agreeableness, conscientiousness, and openness. 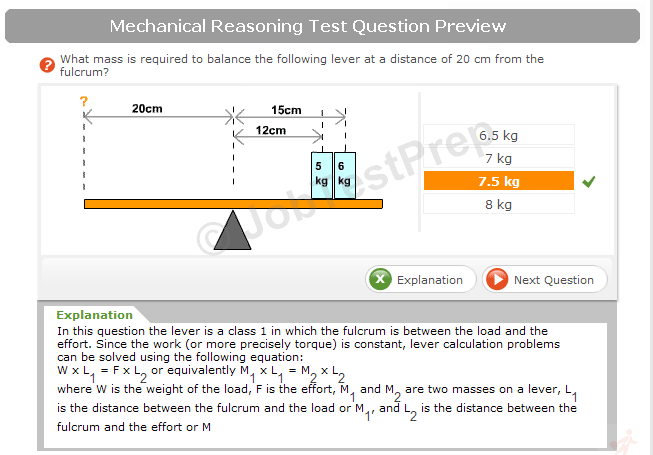 Every question offers multiple answers, and you are required to select any of them. Understandably there are no rights and wrongs, but every option gives your intensity for the trait being evaluated. The flow of information on internet has made it easier for the test takers to understand what kind of personality or what level of intensity for a particular personality trait is required. You can quickly know what characteristics are related to what jobs. Armed with such an information, the candidates will go for those options which they consider good to secure a position. The critics think that such kind of controlled responses from the subject may not help the tool to develop a real personality profile. Here is my oft-repeated question. (Read Personality Testing; Myth and Realities). The big five tests equate your personality to your joint degrees of behavior in five factors. For screening purposes, it is suggested that your character shall remain the same in the real world situations. However, the personality is a fantastic abstract entity. You can improve, refine and even control your intensities. The critics think that result of big five tests fail to measure all colors of your personality. Pervin (1993) and Mischel (1995) claim that consistency in the results of psychometrics depends upon the individuals in the selected groups, circumstances, situations and the parameters adopted for the testing sessions. There are claims for specific culture good personality and IQ tests. However, in a real life, the people can’t avoid cultural influences. The big five tests offer particular statement with a few options to select. You are asked to agree, disagree or even stay in between. You shall go for the options which are culturally more acceptable to you. On finding a purse full of money, you may not like to return that to the owner, but this kind of response proves you honest in the eyes of the employer. This criticism can be negated by preparing big five tests while keeping in view the culture of the subjects. Some psychologists criticize that the big five tests neither follow a theory nor empirical data. Instead, the big five-factor model was result of the challenge that Allport threw to his contemporaries. The original test builders might have thought that all natural languages are capable to explain all variations in the human personality. However, in fact, the language itself become a big barrier in certain situations. Translation of the concept in different natural languages may not result what was intended in the original language. The 16 types, four temperaments, and even 12 astrological signs are more straightforward to describe because they put you in somewhat tight boxes. However, the big five personality tests mention at least 5 degrees to each factor. Different people have different levels of intensities. When you compute them all, it becomes tough to interact and describe them. Only certified professionals may have depth to explain you. But most of the smaller organizations don’t have sufficient budgets to hire competent professionals. They contend with the second category of psychologists and often fail to get what they want. Palmistry and astrology have history of centuries behind them. However, most of the psychologists claim that the people accept different descriptions because they wish to see themselves as described. They also claim that most of such descriptions are open enough to fit any reader. ...it is called Barnum Effect. How much you respect yourself? Carolin Showers claims that results of psychometrics depend upon the level of your self-esteem. A higher level converges your focus upon your strengths, and lower level enlarges your weaknesses. It is advisable to know your strengths and weaknesses with free big five personality tests before encountering a real session. It shall enhance your self-respect and affect your personality profile. The big five personality tests lack evidence to prove that selections made with their help are better than the rejections. However, it has repeatedly been demonstrated that reward structure and working environments influence the performance of the employees. Lavish rewards and unbiased accountability shall force the people to give their best, whatever their personality profile may be. Training can also improve their performance. 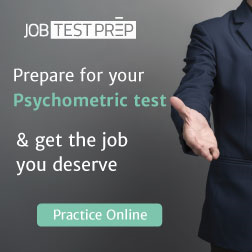 Though like other psychological instruments, the big five personality tests are not 100% reliable but they have potential to cluster candidates having same levels of intensities for the time being. This may generate a good team, but the organization shall miss diversity. Different approaches, decision styles, and strengths always cause novel ideas and breakthroughs. The big five tests claim neither test your virtues nor your fitness for a particular job. However, when a test qualifies you extremely nervous, it is not a quality at all. Secondly, higher intensity in any factor may qualify you for a particular type and disqualify for another. However, a moderate scoring may declare you a suitable candidate for most of the jobs. The average degrees are considered having potential to shift to the either side when you face certain situation. It doesn’t mean that you should strive for the moderate scoring. When the big five personality tests are professionally designed, your conscious effort may produce inconsistent results. Of course, an inconsistency ‘personality’ is not suitable for most of the jobs. The best advice is, to be honest. Whatever the results may be, your targeted career is not end of the world. The opportunities shall come to you when you swim with the social evolution of the human beings.